The Anne Szumigalski Lecture, inspired by the Margaret Laurence lecture series, is a talk which takes place annually at the League’s conference. These lectures create space for poets to stage conversations about poetry – about their craft and what poetry has meant to them, to their lives, their communities, their development and careers as artists. The lectures commemorate Anne Szumigalski (1922-1999), who was an award-winning poet integral to the literary community in Saskatchewan. She helped found both the Saskatchewan and Manitoba Writers Guilds and establish the literary magazines Grain and Prairie Fire. 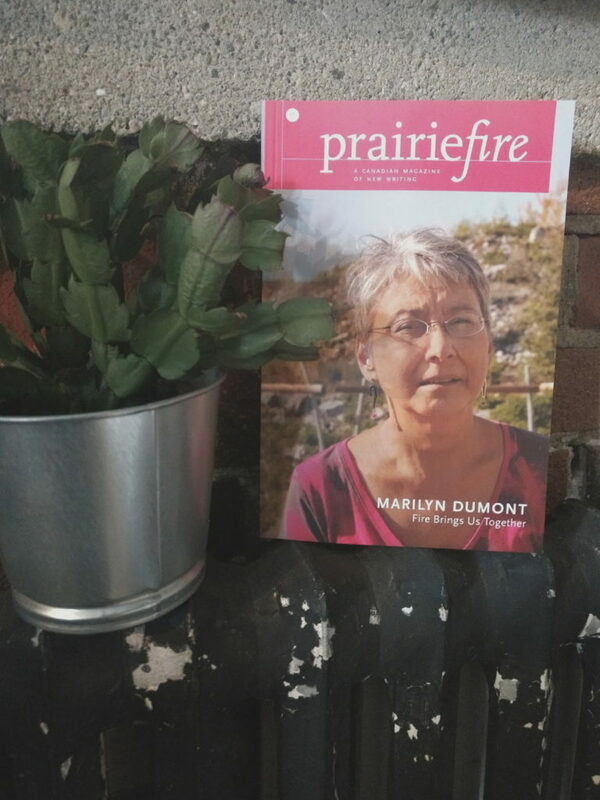 Each year, Prairie Fire partners with the League to publish the lecture in print. This year, they have gone above and beyond and organized a Winnipeg tour for Marilyn Dumont – 2017’s lecturer, Indigenous poet, and author of A Really Good Brown Girl – with support from Canada Council for the Arts. Dumont will tour her lecture Fire Brings Us Together March 2018. All events are free and open to the public. Wednesday, March 21: World Poetry Day reading, McNally Robinson Booksellers (1120 Grant Ave.) with Hannah Green and Chelsea Peters. Presented by Prairie Fire in collaboration with Contemporary Verse 2. 7:00-9:00PM. Thursday, March 22: Marpeck Commons (2299 Grant Avenue. ), Canadian Mennonite University presents the 2017 Anne Szumigalski Lecture. 12:00PM. Thursday, March 22: University of Winnipeg (main floor of Lockhart Hall, Room 1L11, 515 Portage Ave.). 4:00PM. Special thanks to Jacques Nolin and Jennifer Boire for their continued support of the Anne Szumigalski lectures, Canada Council for the Arts for their support of Marilyn Dumont’s tour, and Prairie Fire for their dedication to this project!